Tested with either Spurs or Arsenal, no OIs. How about testing with a Lower League team rather than a top team? 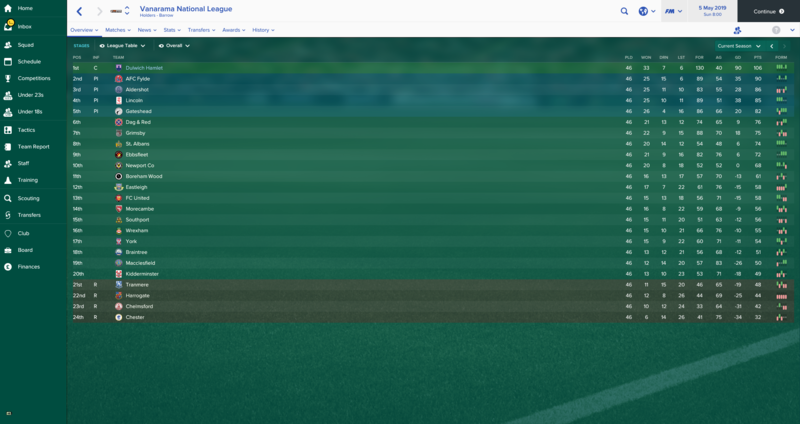 Why would a LL team be more appealing, as I will use them with say Dulwich Hamlet, and I 've always used these type of tactics in LL..
GOODBYE 3430 was best underdog tactic. How about devising your own tactic instead of relying on others', might be more appealing. knap's tactics are the best. Just because he mainly tests them with top clubs doesn't mean they won't work with LL clubs. 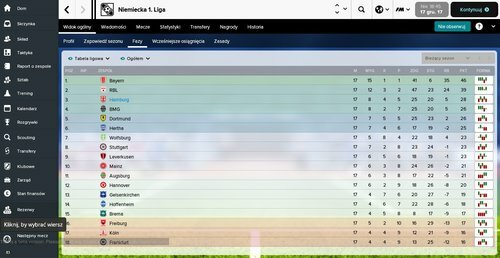 I used Warpigs FM17 exclusively with a SerieC/B club and gained promotion. If you question his tactics for LL clubs then don't use them. A few years ago I used them with Frimley Green about level 11. I actually make my own tactics, just see little in saying a tactic is great with a top team without testing on a LL team. I like Mr U Roslers threads as he provides details about tactics that work at the top and lower down. How would you know if knap's tactics DON'T with lower clubs? How bout uploading YOUR tactics so we can judge? you could always make your own and not rely on others work. Looks like you have tried Mr u's tactics so much for making your own. If you make your own why are you in tactics sharing thread. Something not adding up here. Yes I did try his tactic also to see how it plays. And gave him feedback that improved his tactic. However, my preference was to return to my own. I do not need to spam the tactics forum with countless tactics that you have clearly not tested by actually playing but only holidaying. Thanks for the separate thread knap. Warpigs is looking solid in my Inter save. Knap, cheers for doing this. Hi Knap ; What happenned to bluematter 433 attack ? Is bluematter433 p95 better than other one? As Mr Roslers thread says plug and play, I tried it......I was not impressed. My AssMan suggested it. I did not have to follow his advice. I tried it, and it was better. I continued using it. it was still better. I suggested My Rosler it. Only differences is back roles? 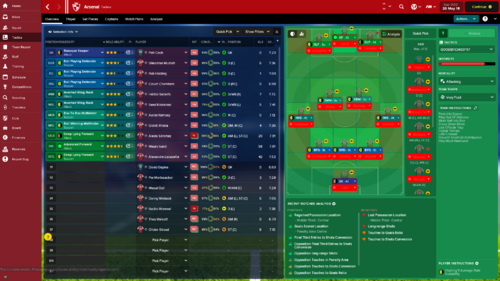 I will have to check but probably the same, I may have renamed it as an attacking tactic. knap, this year's ME still favors narrow width? Don't take this the wrong way, but this forum isn't for you, clearly. Why would you come on a thread and start with this for absolutely no reason. Knap has been making tactics for years, and a lot of people like using them. You like your own tactics, that's great - If you ever decide to make a thread you can bet your life Knap won't bust into yours with a load of waffle. 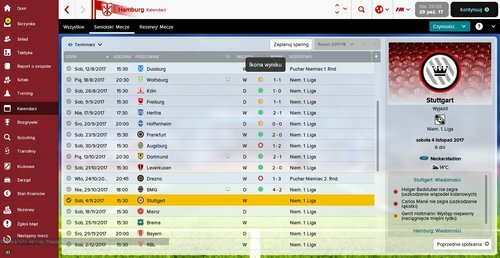 Had a pretty good string of matches with Warpigs in my Inter save until I faced Roma in an Italian Cup match where I was trailing 0-1 at HT, though still had the significant edge in shots & possession. Switched to Blue Matter 433 Attacking and won 3-2, after scoring 3 goals within 15 minutes. Nice! And which one do you recommend sir? 433P95 with full back (s) roles or 433Attack with wing back (a) roles? One of the problems with FMT is you only have 1 tactic space, rather than the 3 which makes Plan B tactics easier to find. The 433 Attack does not appear to have corners set up, so the P95 should be latest. @Pompeyboyz if you have constructive criticism to add you are welcome to do so. Posting childish nonsense and derailing threads is not constructive. Enough now thanks. Cheers! One question Knap, which one of the 4-2-3-1's are best for the top teams do you reckon? The highest scoring one? What is everyone's general opinion on the best version? 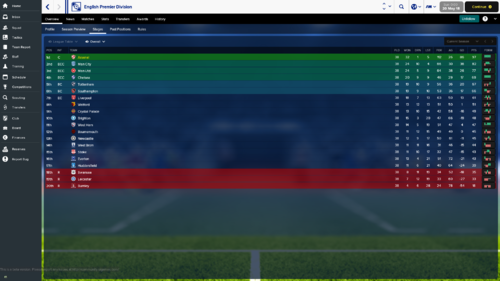 Barcelona is from last year and set up with Barcelona. Try them both in your friendlies. I test with different team, including lower league mostly with Margate and Ebbsfleet, so there is never going to an ultimate best. From independent testing by MR L last year over 180 games, with underdog and sub top teams, GOODBYE 3430 was the top tactic. Have only tried the first tactic, no name 4321. 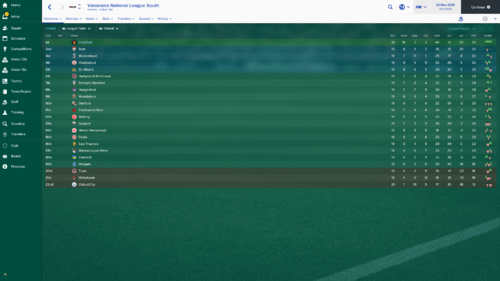 Just won the league with spurs with 4 games to go. This tactic tore it up till February. Now I don't know if what happened there was at my end - jadedness, squad management, who knows. But around then I started drawing games, suffered a couple of losses. Since the last update, it went back on track, but I did get into the practice of slowing tempo, increasing roaming, and passing into space after going one goal up. That seams to have worked again. But the match engine has done some weird things. Mainly, my AMCL is getting a lot of poor ratings. 6.4, 6.5... like 9 times out of ten, considerably below a 7. And I rotate, so it's not just eriksen, Lamela or Son. Also, I fail to convert chances way too much, and my defenders have started getting poor ratings also. Deep, low crosses into the far post are way too effective. If I see one coming, I know the opposition has scored. Bittersweet then. I won the league but some ofy best players have underperformed. Others, though, do brilliantly. The wingbacks, and the MCR (Sissoko especially) are doing great. I think it needs a lot of work but I can confirm, then, that the first no name tactic does really improve results. And it was unbeatable at the beginning. Blue Matter 433 Attacking is ferocious when it comes to goalscoring. Plays some great attacking football too. Looks like a monster tactic. Can't wait to give it a try! It is in a similar mould as BLUE MATTER. Any views on the new free kick set up? Can i ask what the exact method is for making these. Thesy are made by watching games. I wouldn't mind more information too other than Tried with Arsenal and Spurs. The question of asking the method in making these, is a valid question and the answer is well a bit wrong I think. 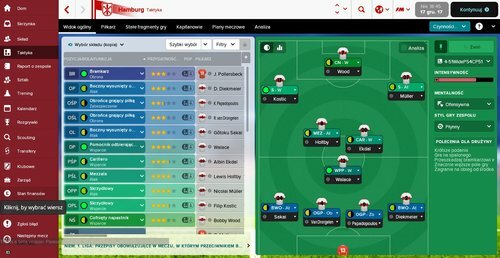 How can you watch a game then come up with a tactic, even the very first friendly game in a save you need to input players into a formation or is just the version I have? After watching the first game, what did you see that needed tweaking, what is the thinking behind the tactics, any influences that helped make them? I have no doubt your tactics work and work well with the amount of fanboys you have but there are a lot of other people that like to know the method/thinking behind things so if something starts to decline in their own game it could help identify an issue and help them resolve it. These are mostly last years tactics, and based on a lot of testing last year. This is still a Beta and these are just a few tactics for people to use. If you are not interested in using these tactics then do not post. If you are interested then try them for a season and let me know how they did. I've tried & tried to devise my own tactics and they are inconsistent at best. May work for a short string of matches and then everything turns to ****. I'm guessing I'm not alone. I have no idea how knap comes up will all the PIs & different formations. All I know is they WORK and I prefer to use them over the others posted. If that makes me a "fanboy" then so be it. No need to disrespect the author of these tactics or the people you call 'fanboys'. 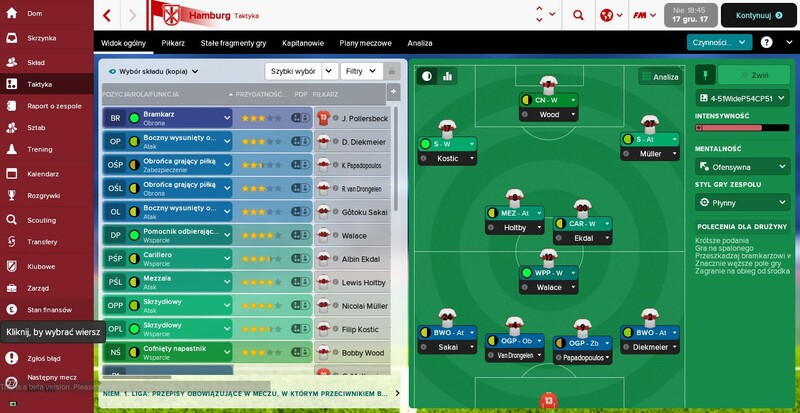 Knap made this thread because several users asked him to do so, the game is still in beta so everything is very provisional at the moment, including tactics. Knap has a lot of experience with the game so he's probably using his past experience and testings as a base for new tactics. Most likely he'll do more as soon as the full game is released. This is 'Tactics sharing' sub-forum, and this is exactly what Knap does. If you're more interested in tactical discussion and how to identify and resolve your tactical issues there's a proper 'Tactics, training and strategy forum' for this. Fanboys is not a disrespectful term, if people are offended by that term then sorry if any offence caused and maybe they need to stay clear of the internet as far worse out there. I do not feel it to be wrong to be asking for more information behind the tactics? Maybe would have had a better response if I just replied with 'Training?' or 'OI's' rather than ask a proper question?